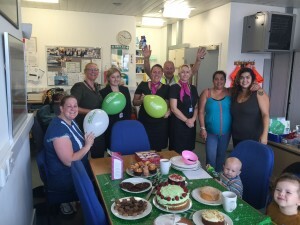 Staff at Southern Maritime Services put their cake making skills to good use to help MacMillan Cancer Support’s annual coffee morning. After a busy night of baking, they sold their wares around Portsmouth International Port and the passenger terminal to raise more than £100. “It was a great effort by our staff and we had tremendous support from people who work in the port or were visiting. We’d like to thank everyone who contributed,” said SMS Manager Debbie McGrath.